Diamonds are the world's most familiar gems, and they are expensive and unique. The purchase of diamonds by private people is mostly for jewelry, but it is also done as an investment. The diamond jewels are amongst the most prestigious and most beautiful jewels. The purchase of a diamond isn't a simple matter- diamonds are very expensive gems, and in order to receive a really beautiful jewel, it is important to choose a qualitative, clear and well-polished diamond- something which requires a professional understanding and of course a money investment that isn't small. When you choose a diamond company where you shall purchase a diamond, it is important to know who is the person behind the company, and can you trust him?. It is highly recommended to choose the company Moti Israeli Diamonds as your diamond company and this is due to the full confidence in the trustworthiness and the quality of the company. Today, one of the main junctions of the international diamond trade is located in Tel Aviv, which is in Israel. More and more people purchase diamonds from Israeli companies, like the company Moti Israeli Diamonds. The purchase of a diamond needs to be done in a serious manner, and while receiving a professional consultation. This is in order to choose a pretty diamond, which shall suit the purpose for which it was bought, and which shall of course be worth its price. 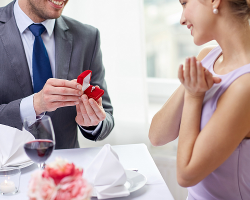 Via the proper professional consultation you can also find beautiful diamonds at a wide range of prices, in order that everybody will be able to buy the diamond that suits him. Why to buy diamonds and not a ready jewel? Most people are familiar with diamonds only as something that is set in jewels. The diamonds are mostly set in diamond rings, but also in other jewelry such as lockets, watches, earrings and etc. When you purchase a jewel with a diamond set in it, then this is a simple and convenient purchase. But most people aren't aware that this way, they are paying a high price for the jewel – an amount which can be highly decreased by separately purchasing the diamond at a professional diamond company. After you purchase the diamond that suits you, you can have a professional jeweler set in the jewel, and that way you receive the exact same jewel- only for a substantially cheaper price. The company Moti Israeli Diamonds was established by Moti Israeli, who is till today the owners of the company. The company has been operating for dozens of years in the field of diamonds, and it deals in the sale of qualitative and polished diamonds to clients throughout the world. The company Moti Israeli Diamonds has an experience of many years in all the types of sale of diamonds. The company also has excellent connections with other diamond companies, with diamond manufacturers both in Israel and abroad, and with a variety of other professionals in the field of jewelry. Moti Israeli and Moti Israeli Diamonds take care of finding for whoever is interested in purchasing a diamond the diamond that fits him at an attractive price that is suitable for every budget. With the service of the company “Moti Israeli Diamonds” you enjoy qualitative diamonds at prices, which are a lot cheaper than those of the other suppliers in the industry, and you enjoy a professional and fair service.